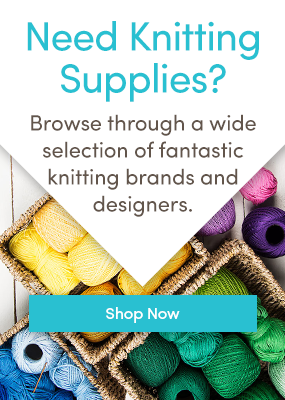 Rowan is a brand that makes some very nice yarns (some of which are on sale! ), and they supply a lot of excellent patterns to go with, many of which are free. We’ve collected a small sample of Rowan knitting patterns patterns for you this week. Mississippi by Lisa Richardson is a free pattern for an adorable vest. The basic top features an eye-catching gather detail on the front. Knit this up in Rowan Wool Cotton 4-ply, which is on sale now. The Men’s Textured Sweater would be a great staple for any guy’s wardrobe. Knit in Rowan All Seasons Cotton, this garment could work as a transition piece in spring and fall. Charles by Martin Storey is an adorable baby sweater with an intarsia detail on the front and contrasting neckline. Knit in Rowan Wool Cotton 4-ply, this sweater would look great on your favorite little lord or lady. Quail is a pair of beautiful socks with cablsa. Knit in Rowan Fine Art, these socks show off the variegated yarn without losing the pattern detail. The Vermeer Hat and Gloves by Susan Mills show off your cable skills and are a great set of staples for any winter wardrobe. Knit in Rowan Pure Wool Worsted, they can be made to match or not. The Butterfly Cushion by Pauline Ellis is another free pattern. Made to fit a 30 cm by 20 cm cushion, this cover uses butterfly stitching on the front. Knit it up in Rowan Wool Cotton, which is on sale. The Cridhe Gadget Cover is a great way to keep your favorite electronic device safe. It’s worked in Rowan Felted Tweed DK and can be made in two different sizes, with fabric lining to keep your wares really protected. The Brooklyn Bag by Martin Storey is a great (free) cabled purse pattern. Worked in Rowan Original Denim and lined with fabric, it’s a versatile little bag, whether you’re in Brooklyn or not. Love these Rowan Knitting patterns? Follow us on BlogLovin’ and never miss a post! Last updated: March 8th, 2016. Would love to follow you ..